Fixed or extending dining table with a transparent (10mm thick) or extra clear glass (12mm thick) top and extensions. The extending version has an aluminium extending mechanism. 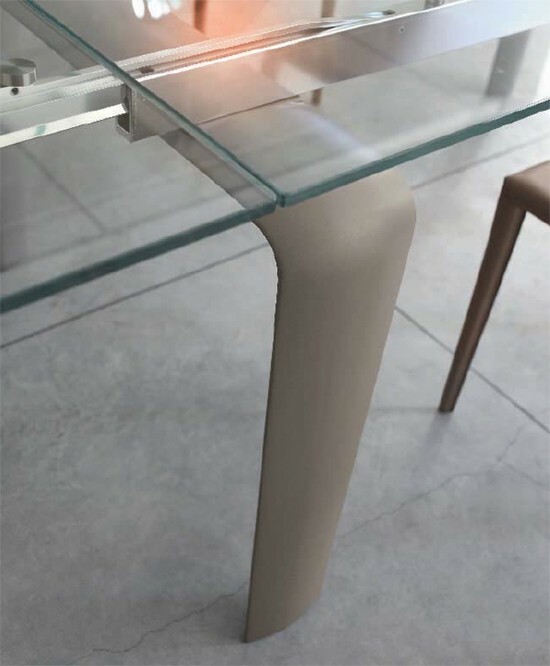 The bridge style legs are made from polyurethane using a sophisticated injection technique. They are available in a range of matt and glossy colors, see corresponding color charts below for all options.